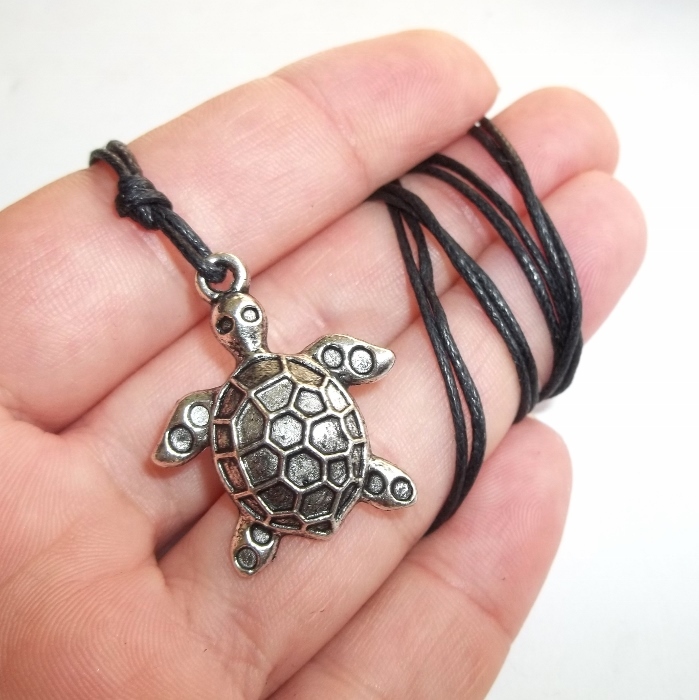 Tibetan silver turtle charms set on a sliding knot cord necklace. 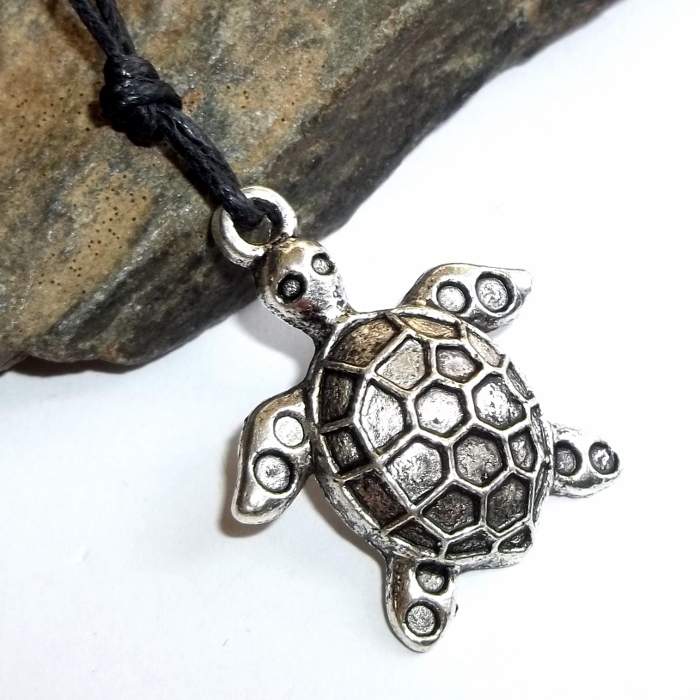 The Turtle Spirit brings longevity, protection, and stability in a fast paced world. Turtles retreat into their shell for protection yet move slowly and steadily towards their goal. Your Spirit Turtle can help you unite heaven and earth. Great Turtle spirit, I invite you into my life. Remind me that I carry all I need with me at all times. Awaken my senses so that I am prepared for opportunities as they arrive. Help me trust that all happens when and how it should. Please, help me remember that my home is with me wherever I go. Mother Turtle, I call to you. 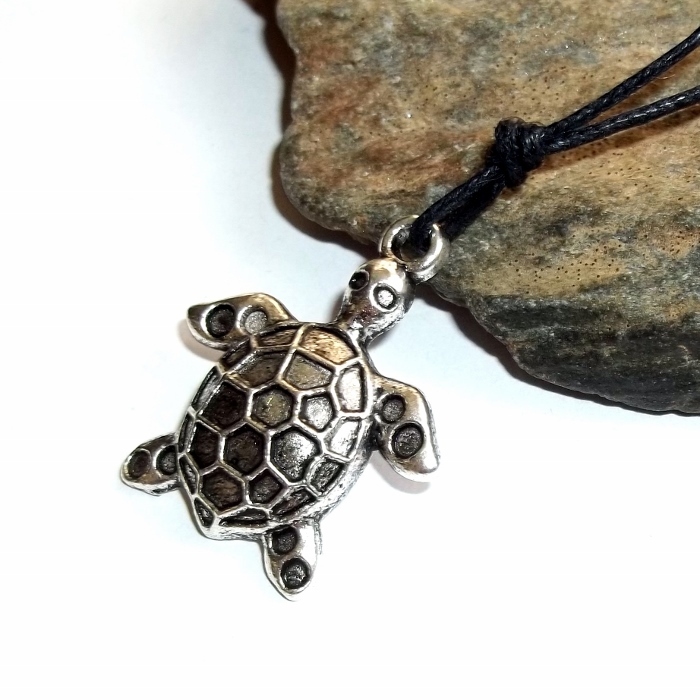 Turtle charm is about 1 inch by 7/8 inch. Necklace is set on a black cotton waxed sliding knot cord adjustable up to about 32 inches.